So, you know, the idea that Islam is antithetical to learning or culture or scholarship is absurd. Now, you know, it's a great tradition. It is important for us that we promote and encourage Islam and Islamic traditions which are moderate, which support freedom, which support democracy and which support Australian values — not in the sense of "Aussie values" — but in the sense of democracy, rule of law, tolerance, freedom. That's what we're talking about and they are universal values. The fact that this excellent system passed into Europe via Arab colonies stretching around the Mediterranean cannot justify a claim that the Hindu system of numbers 'only survived' because of Muslims or Islam. Nor does it imply that the Arabs who passed on this numbering system to the West were  to use Turnbull's words — 'moderate' or supportive of freedom and democracy. It is not possible to work out whether a society is moderate from the numbering system it uses. Even the Islamic State uses the same numbering system as Malcolm Turnbull. A repeated theme in ... school texts is that the West should be grateful to Islamic civilization for preserving Greek philosophy. The narrative offered to justify this gratitude is that during the Dark Ages the Islamic world underwent a golden age of cultural and scientific development, preserving Greek learning, which then kick-started the Western Renaissance. Greek civilization did not need 'rescue-by-conquest': indeed it continued in Constantinople all through the European dark ages. 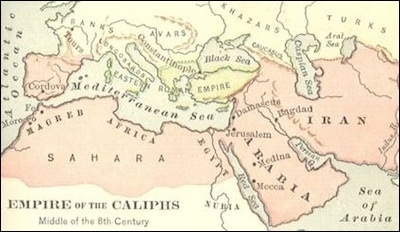 The cause of the break with the tradition of antiquity was the rapid and unexpected advance of Islam. The result of this advance was the final separation of East from West, and the end of the Mediterranean unity. ... The Western Mediterranean, having become a Musulman lake, was no longer the thoroughfare of commerce and of thought which it had always been. The West was blockaded and forced to live upon its own resources. Malcolm Turnbull's comment on Q&A illustrates the hole the West is falling into. It risks being buried alive by the weight of bad ideas about its own identity and history.